← What’s your favorite Taylor Swift hairstyle? Tonight’s one of those nights that we love: AWARD SHOWS, when all the stars come out in their great hairstyles. We’re talking ’bout the 2011 CMT Music Awards. Country Music stars might not change their looks as often as other celebs, but it’s still hard to predict who will wear what. Sometimes making the style predictions is harder than guessing the CMT award winners. No matter what, country music fans will have plenty to think about before the sun sets this evening. The final nominees for Video of the Year will be announced at the beginning of the show tonight; then you get to vote on them at CMT.com or by sending a text message. Jason Aldean, Kenny Chesney, Lady Antebellum, Miranda Lambert, Rascal Flatts, Sugarland, Taylor Swift, The Band Perry, Carrie Underwood and the Zac Brown Band. Sara Evans, Miranda Lambert, Reba McEntire, Taylor Swift, Carrie Underwood. Lady Antebellum, Little Big Town, Rascal Flatts, The Band Perry, Zac Brown Band. Steel Magnolia, Sugarland, The Civil Wars, The JaneDear Girls, Thompson Square. Jason Aldean with Kelly Clarkson; Justin Bieber with Rascal Flatts; Kid Rock with Sheryl Crow; Aaron Lewis with George Jones and Charlie Daniels; Loretta Lynn with Miranda Lambert and Sheryl Crow. Martina McBride and Train; Reba; Darius Rucker and Adele; Keith Urban and John Mayer; Zac Brown Band and Jimmy Buffett. Jason Aldean, Luke Bryan, Lady Antebellum, Blake Shelton, Taylor Swift. Lee Brice, Aaron Lewis, Jerrod Neimann, The Band Perry, Thompson Square. 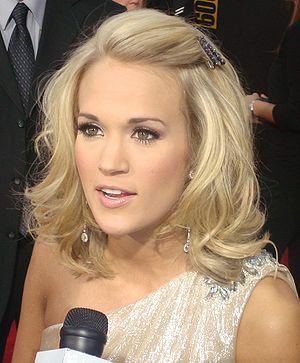 This entry was posted in Uncategorized and tagged Carrie Underwood, CMT Awards 2011, Country Music hairstyles, Julianne Hough, Lady Antebellum, Laura Bell Bundy, Martina McBride, Meghan Linsey, Miranda Lambert, Reba McEntire, Steel Magnolia, Taylor Swift. Bookmark the permalink. Pingback: Jason Aldean – “Why.” Official Full Length Country Music Video. « Top 5 Gone Wild: Country Countdown. Pingback: Jason Aldean – “Amarillo Sky.” Official Full Length Country Music Video. « Top 5 Gone Wild: Country Countdown. Pingback: Jason Aldean – “Relentless.” Official Full Length Country Music Video. « Top 5 Gone Wild: Country Countdown. Pingback: Jason Aldean – “Laughed Until We Cried.” Official Full Length Country Music Video. « Top 5 Gone Wild: Country Countdown. Pingback: Jason Aldean – “Johnny Cash.” Official Full Length Country Music Video. « Top 5 Gone Wild: Country Countdown. Pingback: Jason Aldean – “The Truth.” Official Full Length Country Music Video. « Top 5 Gone Wild: Country Countdown. Pingback: Jason Aldean – “Tattoos On This Town (Walmart Soundcheck Live)” Official Full Length Country Music Video. « Top 5 Gone Wild: Country Countdown.